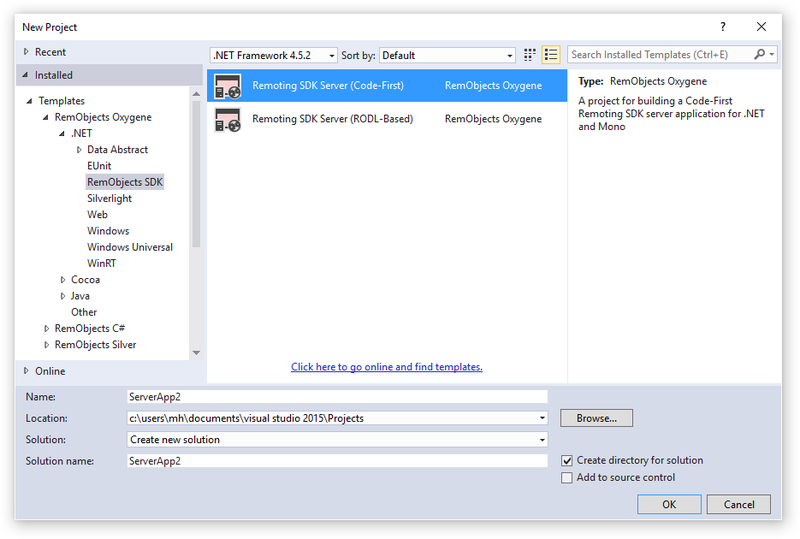 Remoting SDK provides templates to create .NET-based Remoting SDK Servers using Visual C# and Visual Basic projects, as well as the fouy Elements languages, Oxygene, RemObjects C#, Swift and Java. 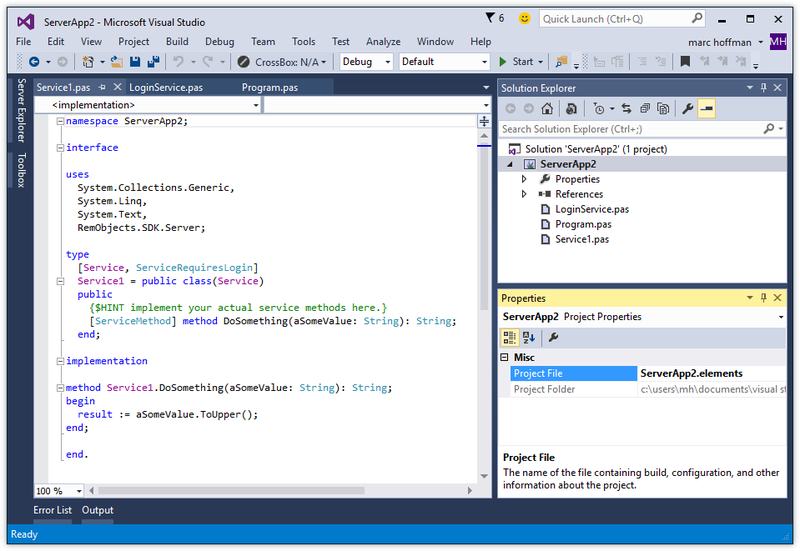 Simply invoke the New Project Wizard, for example by choosing "New Project" from the "File|New" menu (or pressing ^⇧N). Select your language of choice and choose the "Remoting SDK" folder underneath it. (For the Elements languages, this will be nested under ".NET"). Two templates are provided for each language, "Remoting SDK Server (Code-First)" and "Remoting SDK Server (RODL-Based)", to create a Code-First or RODL-based Server, respectively. We recommend choosing Code-First for new projects.